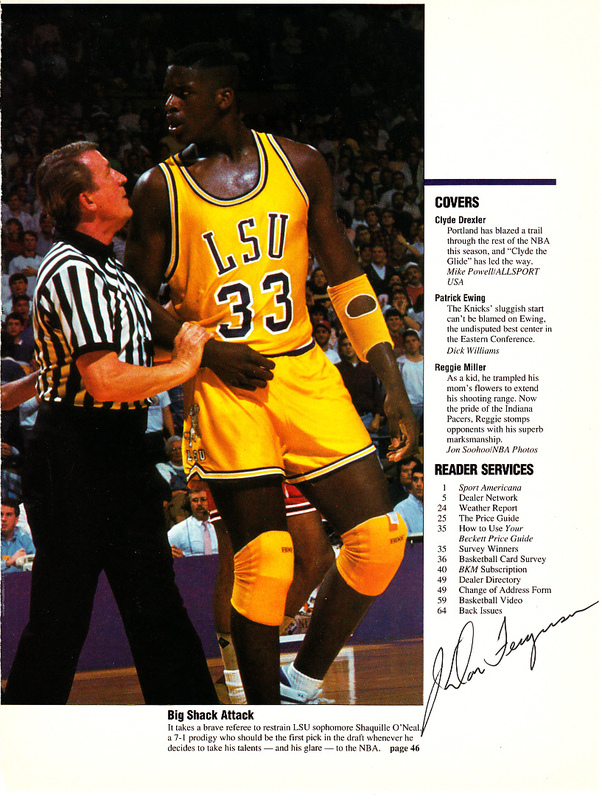 1991 Beckett Basketball magazine page with photo of then LSU superstar Shaquille O'Neal being restrained by referee and prolific character actor J. 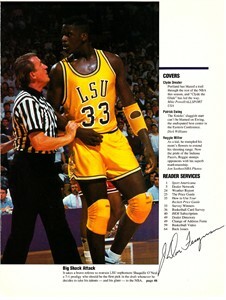 Don Ferguson, autographed in thin black marker by Ferguson ONLY in the bottom right corner. Ferguson, who died in 2008, had minor roles in dozens of movies and TV shows including playing the head referee in The Longest Yard, although uncredited. With certificate of authenticity from AutographsForSale.com. ONLY ONE AVAILABLE FOR SALE.